The Partridge Family is an American classic television show. Portraying the lives of the musical singing family the Partridges, the show follows the crazy adventures the family goes on, and shows the lighter side of America in the 1970s. On top of this, the show was the launching off point for hit songs which made it to the tops of charts all over the world. The United States and people around the globe simply could not get enough of this musically talented family and their doting, loving mother. 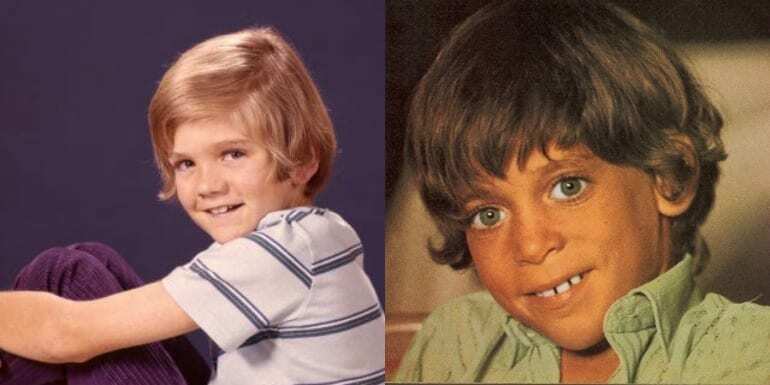 And because of this love, many of the stars who played roles on The Partridge Family were able to use the show as a jumpstart to their careers. 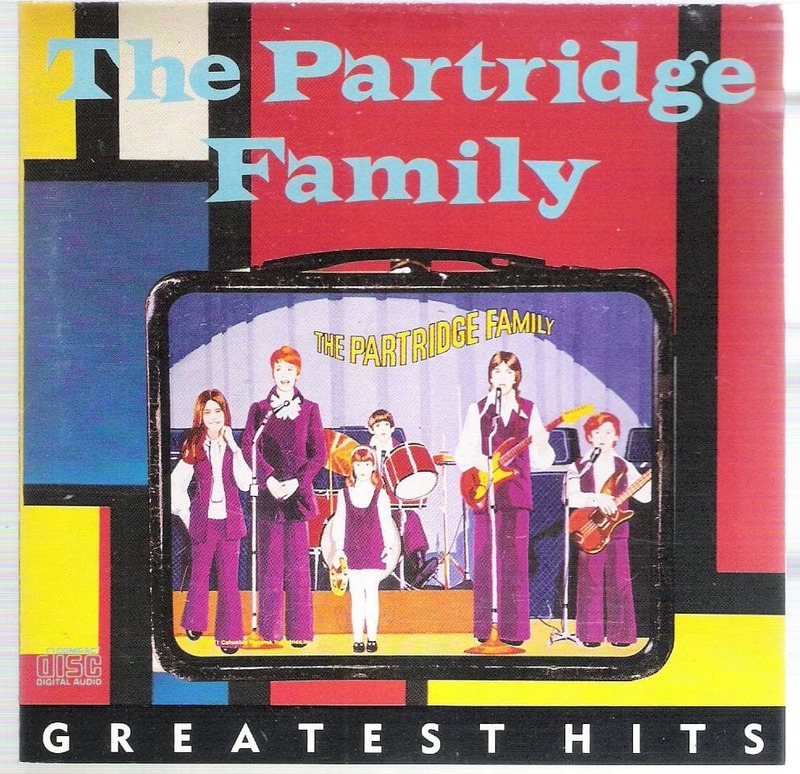 Partridge Family hits such as I think I love you, Looking through the eyes of love, and I woke up in love this morning took the world by storm and appeared on charts in the United States, United Kingdom, Canada, Australia, and beyond. There is David Cassidy who’s life is like a movie in any case, Susan Dey who captured the hearts of adolescent boys all over the world, and Shirley Jones, the mother every mother wanted to be. 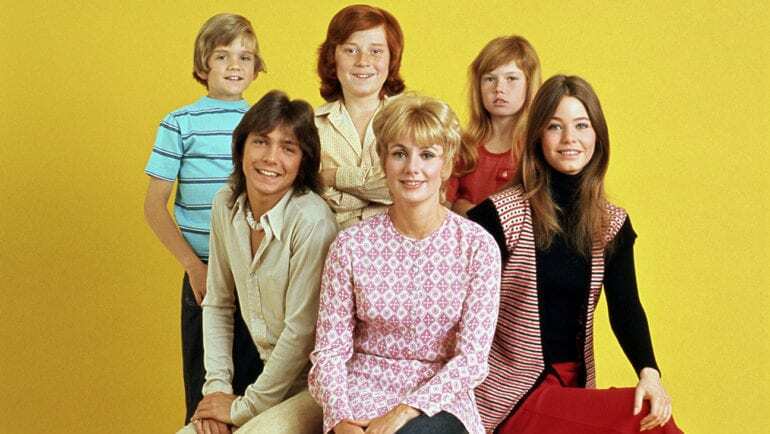 The show itself ran from 1970 up until 1974, but over the course of those 96 episodes, we were all treated to the delightful music and insights of the Partridge family, and the impact the family made on American culture, music, and television is incredible. The show itself was popular with critics as well. The producers of the show were nominated for a Golden Globe Award, and the kids came away with a Grammy nomination as well. We wanted to find out more about this favorite American family. 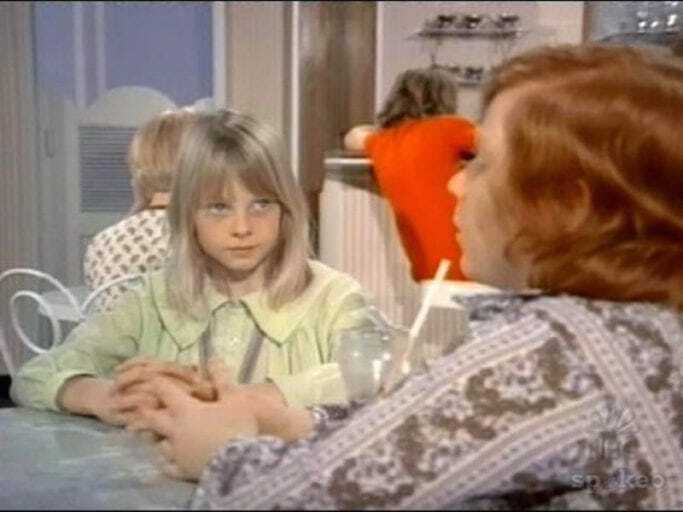 What ever happened between David Cassidy and Susan Dey? What happened on set behind the scenes? And which one of the actors ended up becoming a combination race car / stunt driver? 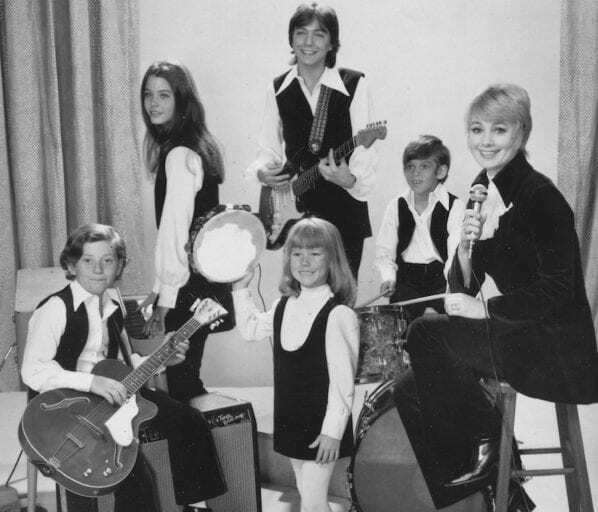 On the show, Shirley Partridge is the mother to Keith Partridge. 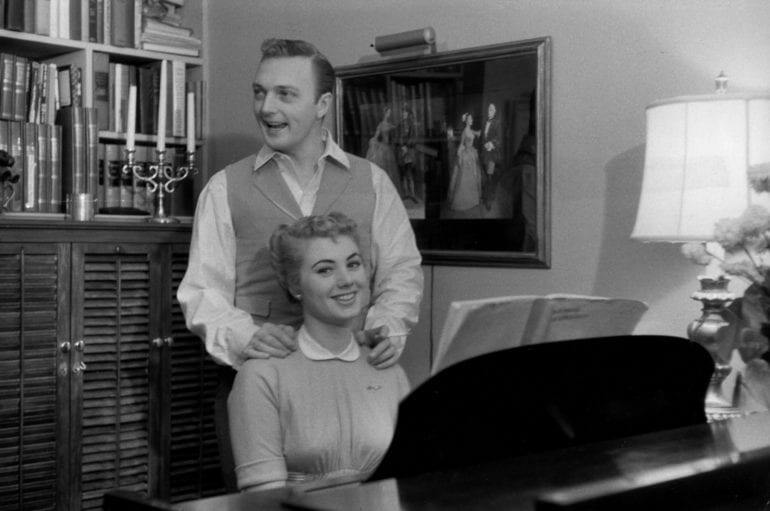 In real life, Shirley Jones, who plays Shirley Partridge, and David Cassidy, who plays Keith Partridge, are actually related. Shirley is David’s real life step-mom. Shirley was married to Jack Cassidy, David’s father, from 1956 until the two decided to divorce in 1974. Although Shirley is no longer married to David’s father, the two always maintained a shared bond, and Shirley tries to remain as close as she can with David today, even with David’s troubles. The producers and creators of the show, Sony, were earning millions of dollars on the shows, however, the cast was ridiculously underpaid. David Cassidy, who was one of the actual musical talents of the show (alongside Shirley Jones), was making a bleak $600 a week, when in comparison to the amount he was racking in for the production was easily ten times more per week. Luckily, David was able to renegotiate his contract after it was learned that he was underage when he signed the contract. In the original version of the pilot episode, the Partridge’s live in Ohio and not in California and the character of their father, who is deceased, is actually talked about rather than a background figure that isn’t mentioned, and when he was discussed he was talked about as being a bit of an alcoholic. The pilot that ended up making it to air was the one where Mr. Partridge was never discussed, as if he didn’t exist almost (although obviously he did). 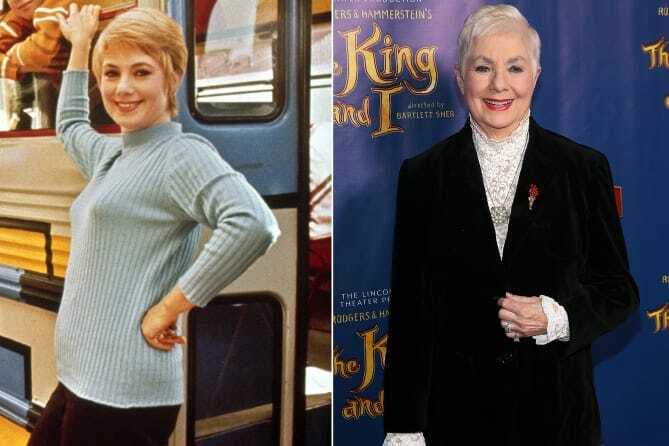 Shirley Jones was born in Pennsylvania and hit the ground running with her acting career. She joined the cast of The Partridge Family in 1970 after having turned down a role to be the mother in The Brady Bunch. She portrayed the Partridge Family mother for the entirety of the series, but found trouble getting work after the show ended. She was also the real life stepmother of David Cassidy of the series. Jones currently does stage performances and is an active PETA member. David Cassidy was born in New York City to actor parents whose families had been in the United States since the revolution. 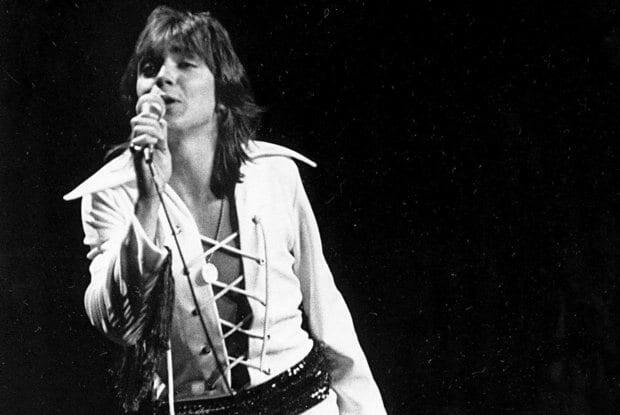 Cassidy was put on the show as Keith Partridge because, as producers said, he had “androgynous good looks.” Since then, David Cassidy has one through a string of divorces, substance abuse, and has distanced himself from his family. He has also come out as saying that he is suffering from dementia. Danny’s home life when he was a child was anything but happy. It was reported that he was both emotionally and physically abused at home when he would return from life on set. At one point, things got so bad that his co-star, Dave Madden, who played the band manager, took Danny to live with him for a while until things calmed down. To this day, Danny says he owes Madden much more than he will ever be able to repay him. Now this is co-starring done right, a true family through and through! 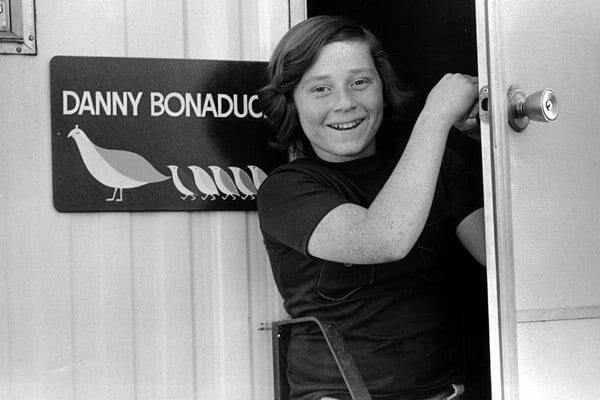 Danny Bonaduce has perhaps the wildest story out of anyone on the Partridge family. 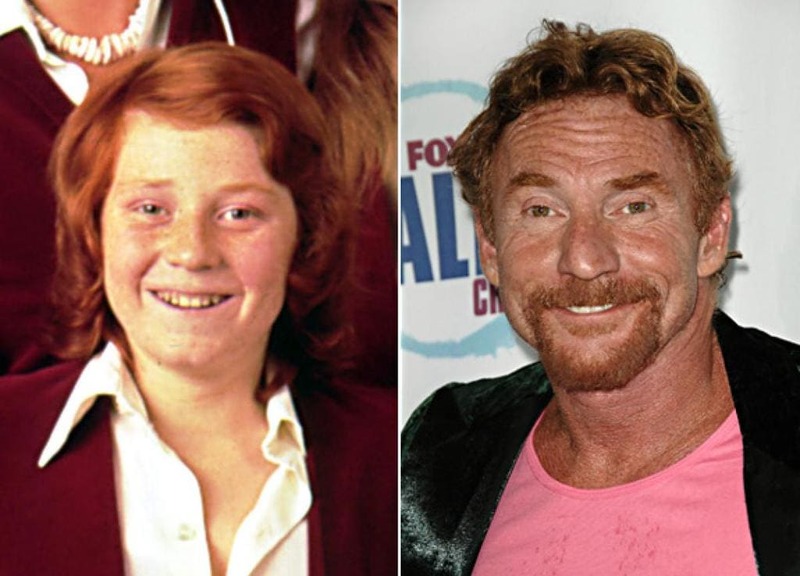 Bonaduce played the role of Danny Partridge, the young band’s drummer, receiving and Child Actor Lifetime Achievement Award in the process. 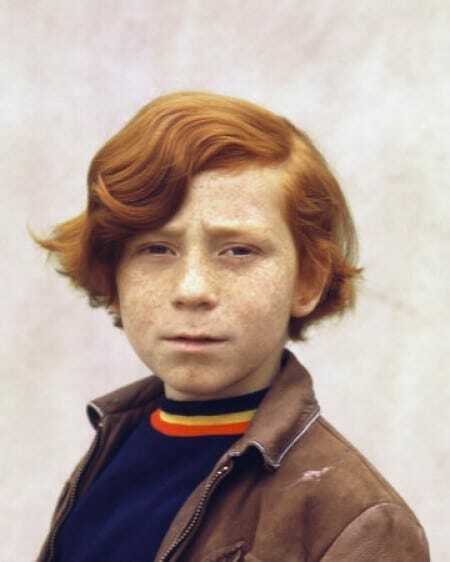 After being a child star, Danny Bonaduce had a highly successful radio show, and then followed that up by doing a brief stint in professional wrestling. His biography is probably incredible. 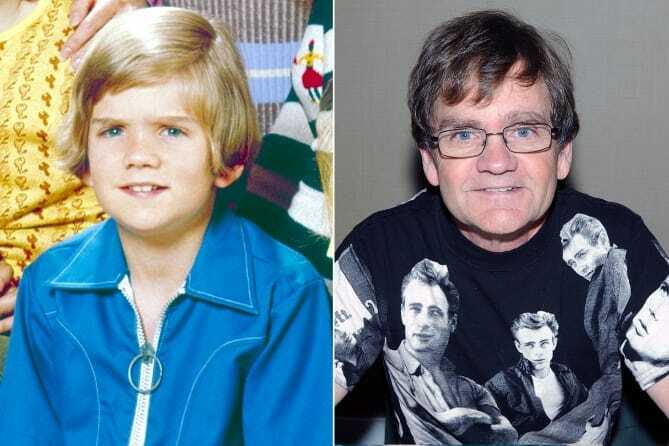 Brian Forster was the replacement actor who played youngest son Chris Partridge in The Partridge Family. Forster comes from a long line of entertainers and authors, being the child of British film actor Peter Forster, step grandson of British acting legend Alan Napier, and the great great great grandson of one Charles Dickens. Once brian became old enough to drive he became a stunt driver and even a professional racecar driver! When producers decided to switch the actors who played Chris, no one seemed to notice. When we say that no one seemed to notice, we mean that the studio didn’t receive a single letter from fans complaining or remarking on the change, something that usually happens a lot when changes such as actors occurs. First season Chris was played by Jeremy Gelbwaks, while Brian Forster played the role of Chris from season two onwards until the end of the show in season four. The reason for the switch was because the little Gelbwaks seemed to be on everyone’s bad side. Shirley was married to Jack Cassidy when she began acting and singing on The Partridge Family. Her success made Jack very jealous and threw their relationship into a negative spiral. Shirley stated that “His overriding sense of inferiority in the face of my success drove him into the arms of other women even more often than before.” David Cassidy said that his father had an issue anger and alcohol consumption issues, which contributed to his erratic behavior in light of his family’s quick success and rise to fame. 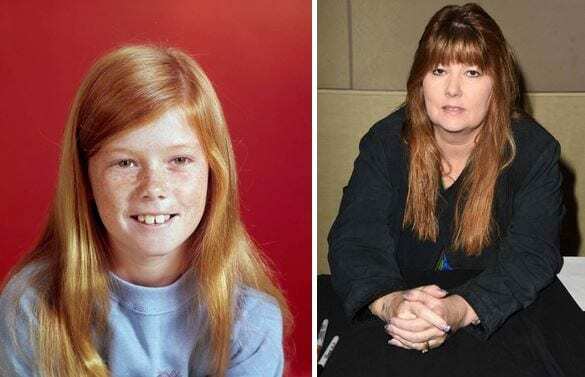 Suzanne Crough played the young Tracey Partridge in The Partridge Family, where she was most famous for playing the tambourine. She did not do much with acting after The Partridge Family ended, deciding to become an average person. She went to college, owned and operated a bookstore, and had two daughters with her husband. She sadly passed away suddenly in 2015, and all of her former acting friends came to her service. Dave Madden had an interesting life. He was born in Canada but was raised in Terre Haute, Indiana. He then went off to the Air Force, where his love of comedy enabled him to perform in front of the King of Libya. He would go on to reprise the role of Partridge Family Manager Reuben Kincaid on the hit TV series of the same name. Sadly, Dave Madden died in hospice care in 2014 at the age of 82. 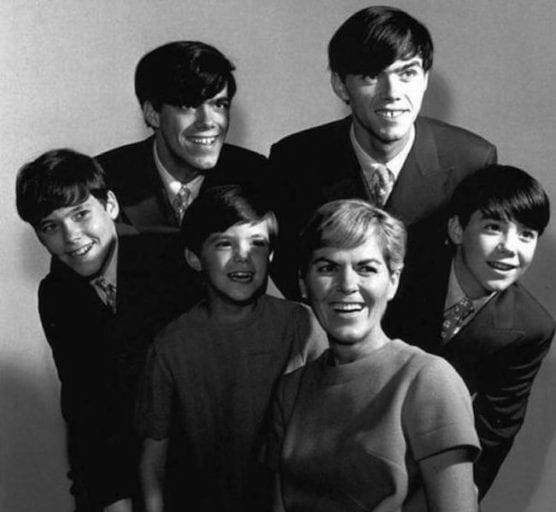 The Partridge Family is based on a real life family that is very similar to the storyline – the Cowsill family. The Coswill family consisted of the mother, six sons and a daughter. The family was a musical one as well, with hits like their 1967 song, The Rain, the Park & Other Things. 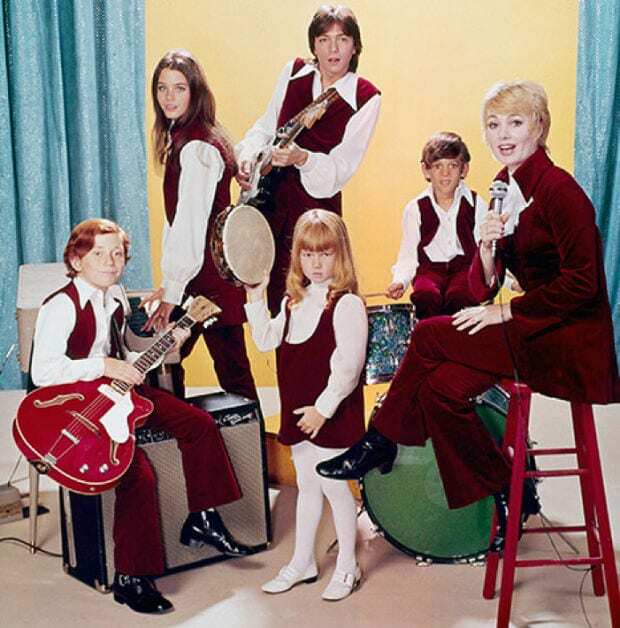 The producers of the show initially wanted the real family to play the Partridges, but then producers wanted to replace the mother with Shirley Jones, which is a fact that the Cowsill’s were sure not to agree to, and they ultimately didn’t. Susan Dey was born outside of Peoria, IL and, as a young girl, became a model. She was then tapped to play Laurie Partridge for The Partridge Family. After becoming well known on the show, Dey then went on to reprise roles in dramas such as L.A. Law, and has even won a Golden Globe for her performance. Dey has also allegedly never shown up to a single Partridge Family reunion. Susan Dey had a longstanding crush on David Cassidy while they were shooting The Partridge Family. David knew how Susan felt about him but decided not to act on it until after the show wrapped in 1974. The two tried dating but the romance was short-lived. Years later when Cassidy would describe their relationship in his autobiography, he would go into way more detail than Susan would have liked. Susan was so upset about it that she hasn’t spoken to David since. What a shame! When in doubt, bring in a kid. That’s how producers felt when they added the character of Ricky in season four of the show. Ricky was supposed to boost ratings, which were declining during that time. 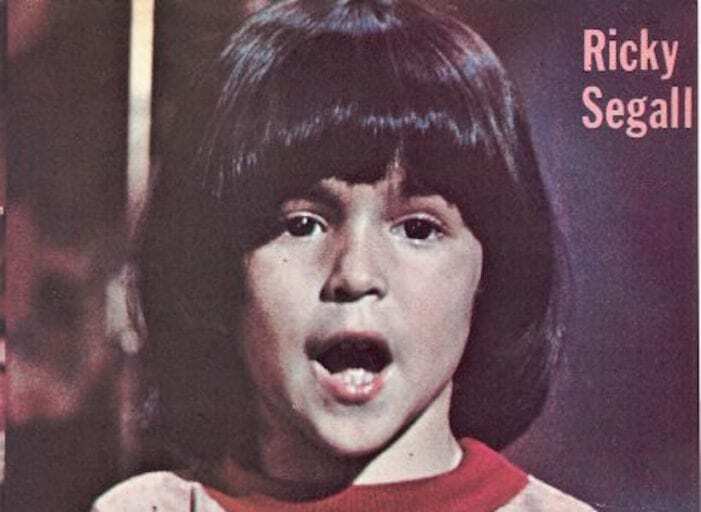 The producers were caught up in the Jackson Five effect, and originally wanted an African-American child to be put on the show, but they ultimately decided to go with cute little Ricky. During and after the show, David’s musical career took off. He was playing a concert in London’s White City Stadium in 1974 when a crowd of young people ran towards the stage, crushing 30 others in front of them. One of the individuals who was crushed was a young 14 year old girl named, Bernadette Whelan. Bernadette never recovered from her injuries and passed away four days later in the hospital, from cardiac arrest. Cassidy would later be asked about this incident and has stated that the occurrence haunts him always. Not in the least bit surprising, Danny was a troublemaker on set. His on-set mother, Shirley Jones, said that “Danny was a wild child who came from an unhappy home. At eleven, he started smoking.” Like many child stars in Hollywood, Danny grew up in the spotlight while also having a lot of trouble behind the scenes at home. As we mentioned, Danny grew up in an abusive home, which must have been a contributor to his wild behavior on-set. If the the Partridge home looks familiar to you, don’t worry, you’re not going crazy. 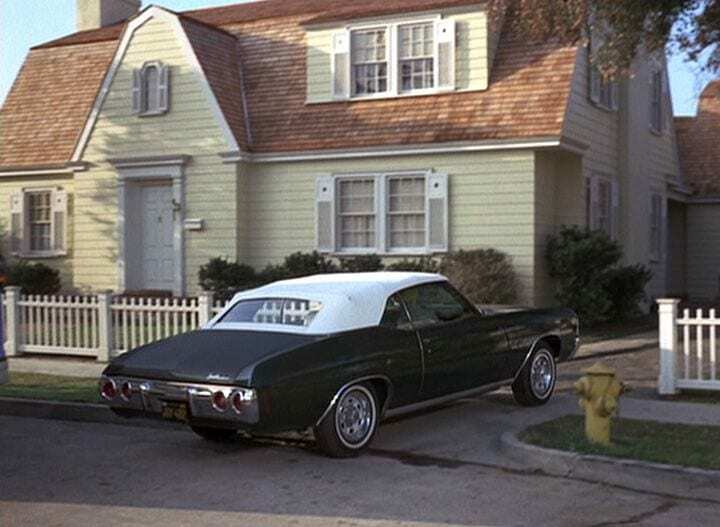 The home was featured on the show Bewitched, it was the home of the Stevens’ nosy neighbors, as well as I Dream of Jeannie, Dennis the Menace, and The Donna Reed Show. All of these shows were massive hits in the 1960s and 1970s, so many fans with a sharp eye did indeed see a similarity that they couldn’t pinpoint. Oh, you may also remember the house from the film, Pleasantville, with Reese Witherspoon. If you recall, during the first season of The Partridge Family, the group had a dog named, Simone. Some time between season one and season two, the dog is nowhere to be seen and never heard from again. We sure hope nothing actually happened to the dog in real life, and that producers just decided that the extra ‘character’ was unnecessary for the storyline of the show. Otherwise, we just couldn’t take it! To this day, Susan Dey refuses to attend any cast reunions. Jones had said that, “she and David had grown apart, and nowadays they are completely out of touch, which hurts David tremendously… I was also hurt that out of everyone on the show, only Susan consistently refuses to take part in any TV reunions of The Partridge Family.” Perhaps one day soon Susan will be able to put the past behind her and join her old co-stars, we’re sure it would make the show’s fans VERY excited! 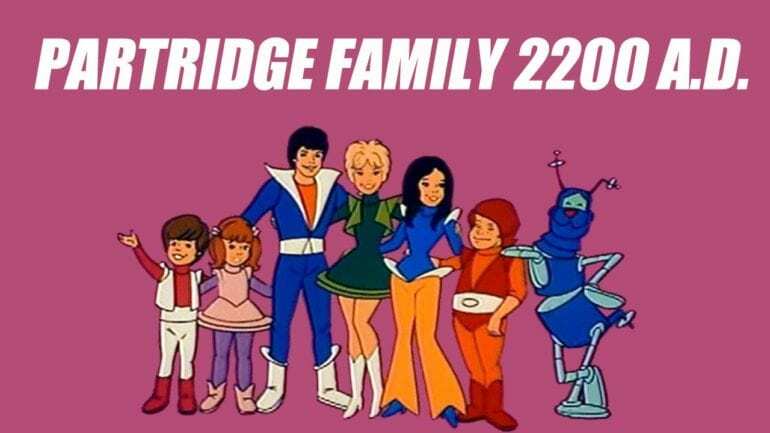 Partridge Family, 2200 A.D. was the animated spinoff of The Partridge Family. Shirley Jones and David Cassidy would not have their names anywhere near the show, and Susan Dey and Danny Bonaduce were limited figures on the show (their voices only of course). The show, like most spinoffs, didn’t do well and went off the air as quickly as it came on. Sometimes people just don’t know when to leave well enough alone. While the show itself was very popular, you will be amazed to learn (or remember) the incredible guest stars that appeared on the show. The short list would be: Jodi Foster, Farrah Fawcett, Jaclyn Smith, Johnny Cash (who made an appearance on the show’s pilot episode), Mark Hamill, and Cheryl Ladd. The list can go on and on, for the fact that the show was on the air only four years, the amount of famous guests is very impressive. After the show ended, the famous colorful family bus was parked behind Lucy’s Tacos on Martin Luther King Blvd, right by USC. However, after many years of lack of care and weather conditions, the bus was officially out of commission and was placed in a dump. 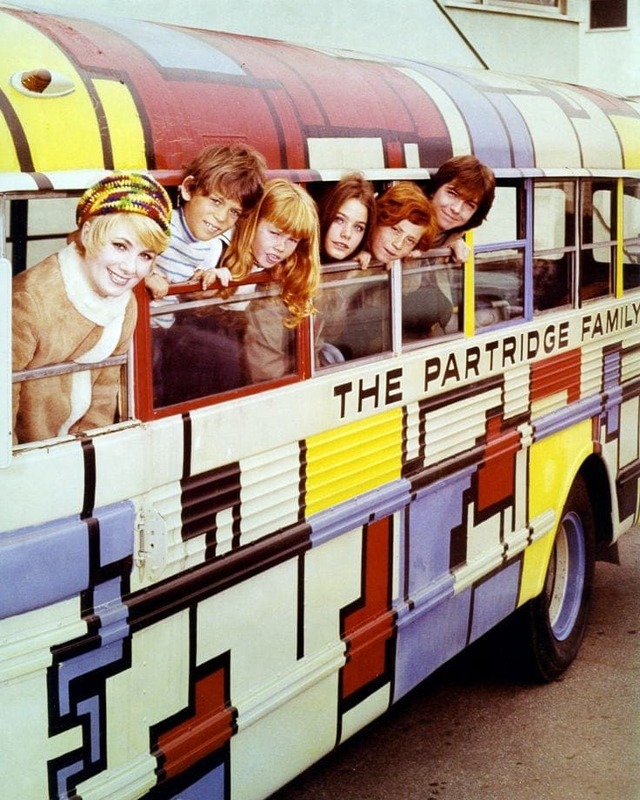 We would think that something as iconic as The Partridge Family bus would be considered a relic and would be preserved in a museum or something! 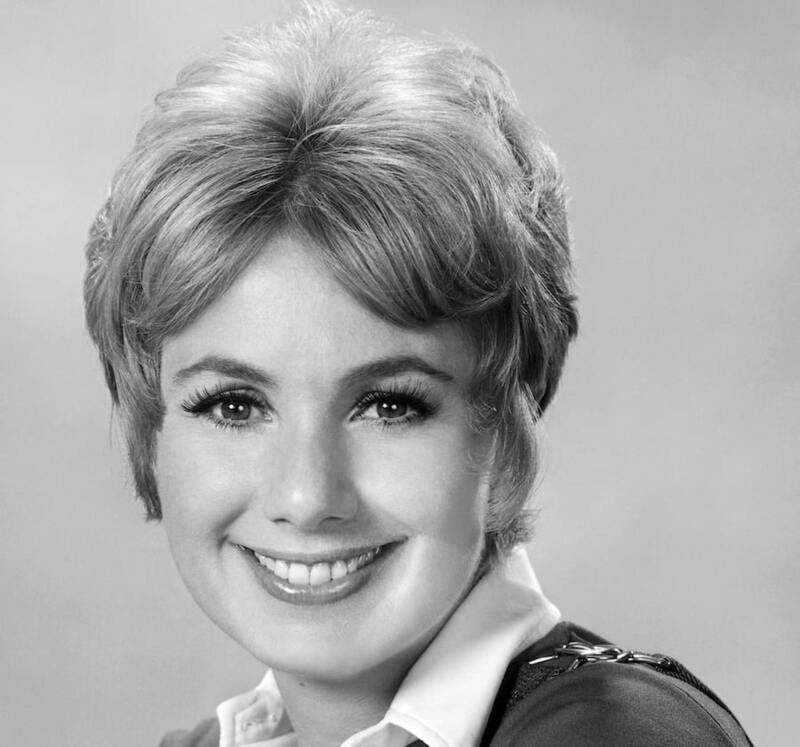 Initially, Shirley was supposed to be the only cast member to actually sing on the show. However, when producers heard David’s demo, they decided to let him sing along with his step-mother since his voice was just as amazing! We are SO glad producers had the sense to do that. A world where David Cassidy doesn’t get his musical start on The Partridge Family is no world we want to be in! 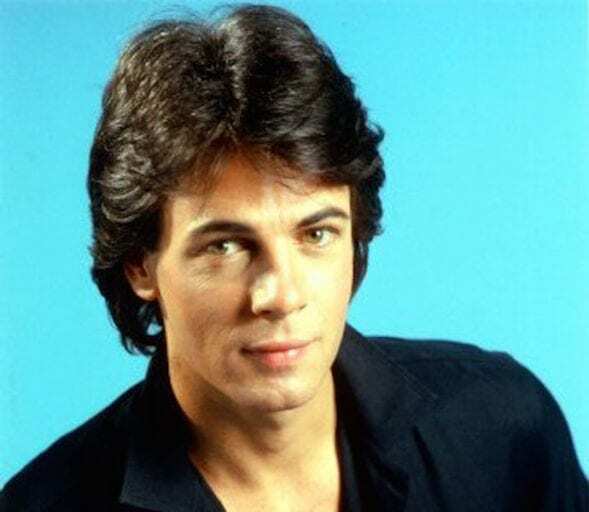 When the fourth season was coming to an end and producers needed to decide if there was going to be a fifth, which is very much what they wanted, they decided that if there was going to be fifth season they would replace David Cassidy (who wanted out of the show) with Rick Springfield. We must say, although Rick is one good looking guy, there isn’t another man in the world who could be Keith Partridge but David Cassidy! 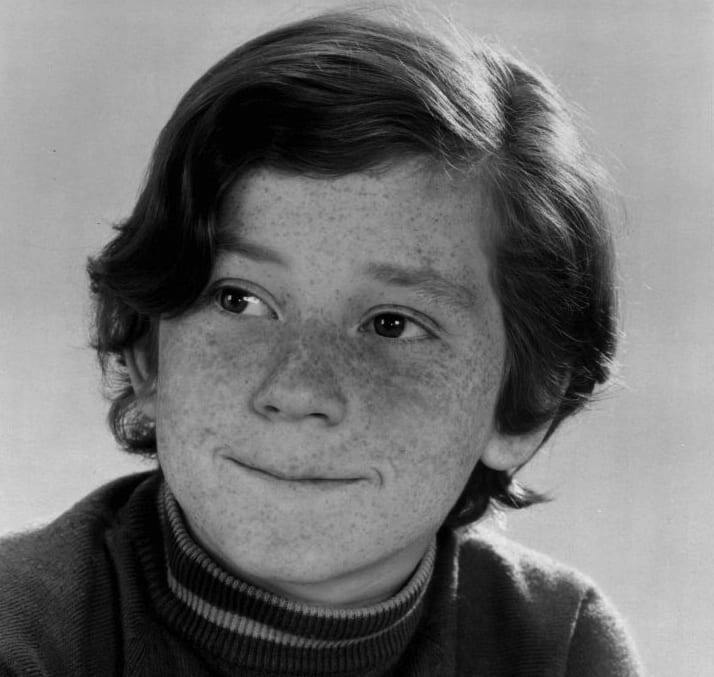 Darling little Danny Bonaduce had a problem with Dyslexia, making him remember his lines a very difficult task. The only thing that saved him was the fact that extraordinarily enough, although he had dyslexia, he also had photographic memory! Danny had no problem with the actual process of remembering his lines, but sometimes they would come out wrong due to his dyslexia. Other cast members had an issue with Danny actually correcting them when they would say their lines wrong! David’s voice was actually altered on the show. As with every character who would sing on the show, they were also pre-recorded in a studio. During the process of recording in the studio, the studio would alter David’s voice to sound higher than it actually was, as that was more appealing to audiences. The would master his studio singing along with his live on-set singing to get the perfect pitch. Shirley’s life went through many ups and downs thanks to her fame. She said that “The public continued to find it hard to separate the Partridge family from the real-life actors playing them, which could sometimes cause serious problems in our lives.” This is an issue that many actors face even today, however, back in the 1970s, it was even more hard for fans to separate fiction from reality as the concept of media was such a new one. Jones was also thought to be David Cassidy’s real mother, which made his actual mother, Evelyn Ward, very upset about. David, like many child stars (yes, he would be considered a child star since he rose to fame at such a young age), he managed to get himself into a lot of trouble later on in his life. David would eventually file for bankruptcy, get himself three DIU’s, struggle with severe alcoholism, and own creditors $400,000. David entered rehab in 2014 for his addictions and has gone through three divorces in his life. Seems exhausting! As we said, the music that was created for the show and released to audiences in records and albums, was incredibly successful. The song, I Think I Love You, that was released in the 1970 album, The Partridge Family Album, shot up the Billboard charts at an unprecedented rate, to the point that it was in the number one spot, and outsold the Beatles’ single, Let It Be. Considering the level of fame the Beatles had, we were absolutely shocked to learn that a single based in a musical sitcom could outsell the legendary band. Shirley was vocal about the fact that she thought the other cast members weren’t good enough singers to be in the studio, and while she may have been right, she didn’t need to be so open about it! The only cast members that she thought was good enough to sing was her step-son David Cassidy. She stated that Susan Dey, Danny Bonaduce, Suzanne Crough, Jeremy Gelbwaks and Brian Forster were nowhere near good enough singers to have their voice featured on the show. Just like the time fans got confused about the difference between fiction and reality when it came to the star’s lives off-set, so it would happen again when it came to the instrument playing. 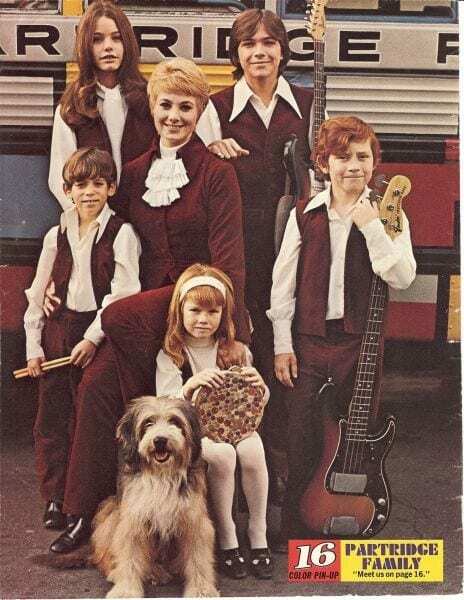 Fans thought that The Partridge Family actors could actually play the instruments that they were seen playing on set. 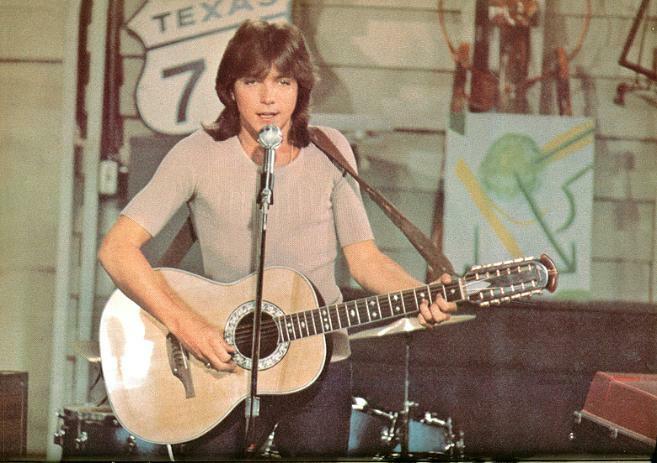 In fact, the only person out of every actor on set that could actually play an instrument would be David Cassidy. Susan Dey was 18 years old when she landed the role of Laurie Partridge on the show. Before her stint as Laurie, Dey was a model with mediocre success. It wasn’t until she became Laurie that her career took an very fast upward climb. This fast ascension of fame in Hollywood made Dey struggle with body image issues and she began restricting her eating. 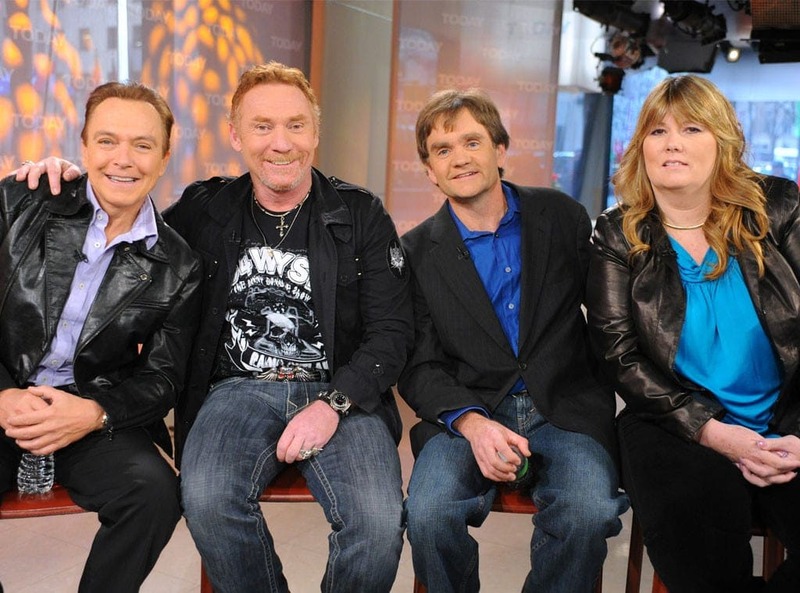 She dieted to the low point of weighing a mere 92 lbs until one day she realized her problem with Danny Bonaduce’s reaction to seeing her in a bathing suit, looking like little more than a skeletal form. After The Partridge Family, Susan went on to appear on several television shows, most notable on LA Law. She received several Emmy nominations for her role as Grace Van Owen, as well as a Golden Globe nomination and win for Best Actress. Other than LA Law, Dey was in films like Echo Park, and Bed of Lies. She was also on shows like Hawaii Five-O, and Third Watch. Susan’s last acting job was listed in 2004, she hasn’t been in anything since. Although many years have gone by since the show went off the air, it seems that there is still some troubled water between some members of the cast. 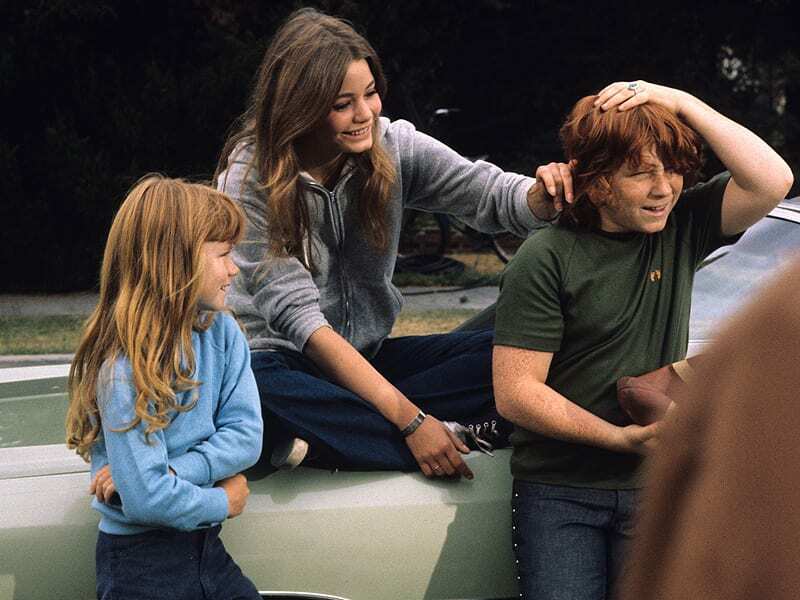 David Cassidy, who played the part of Keith Partridge on the show, mentioned that while he is in good terms with several of his co-stars, Susan Dey chose to disassociate herself from the show and refuses to attend any mentionable reunion. According to Cassidy, this is partly due to the fact that he allegedly revealed that he and Dey had spent the night together many years ago.